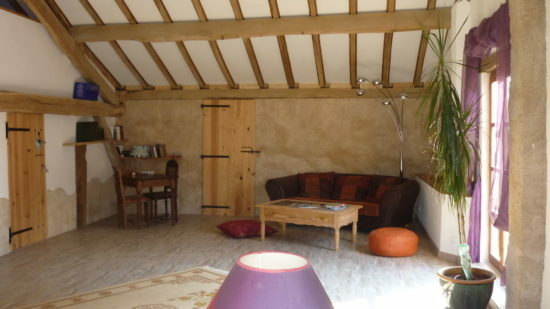 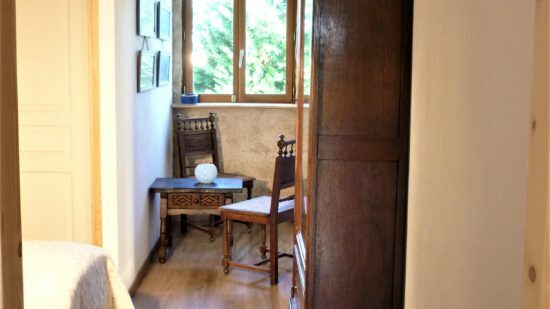 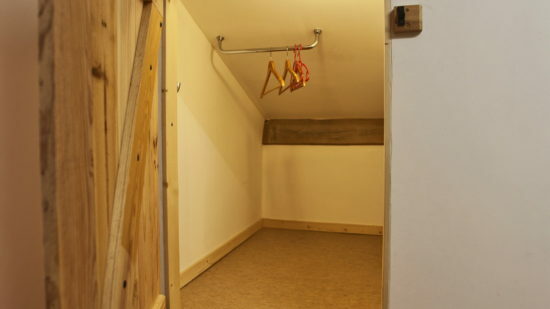 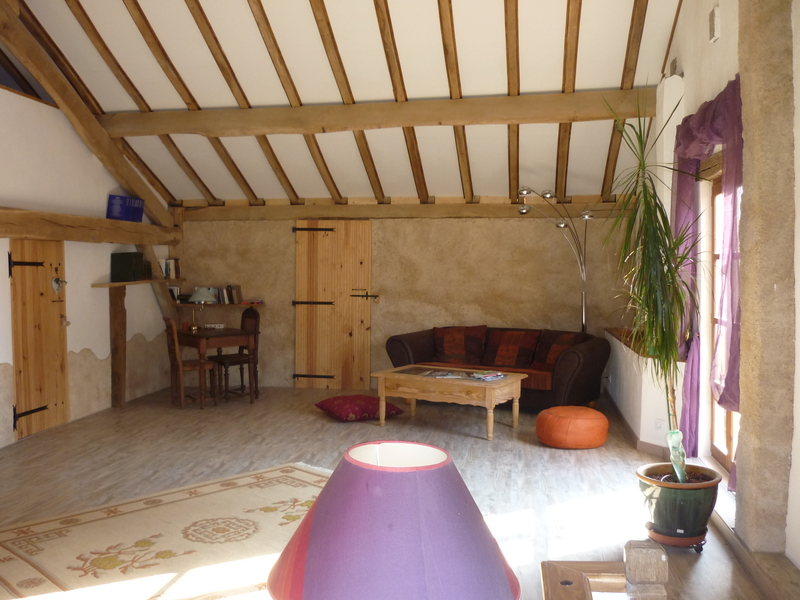 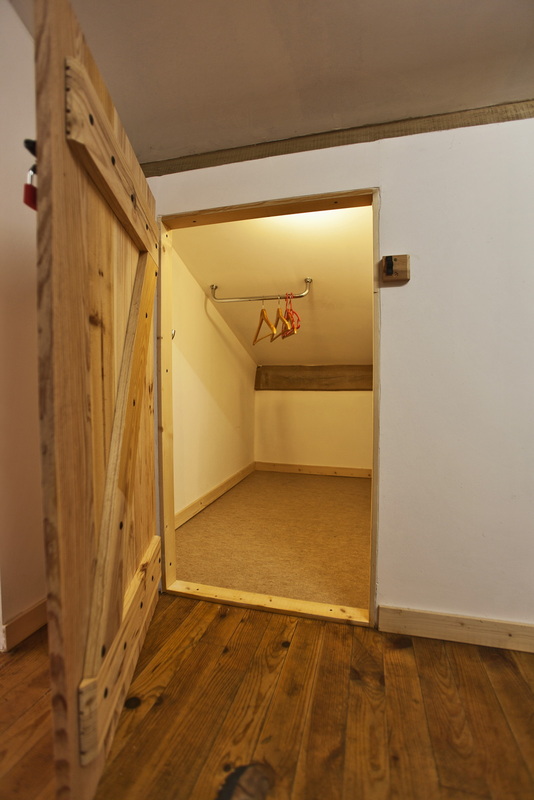 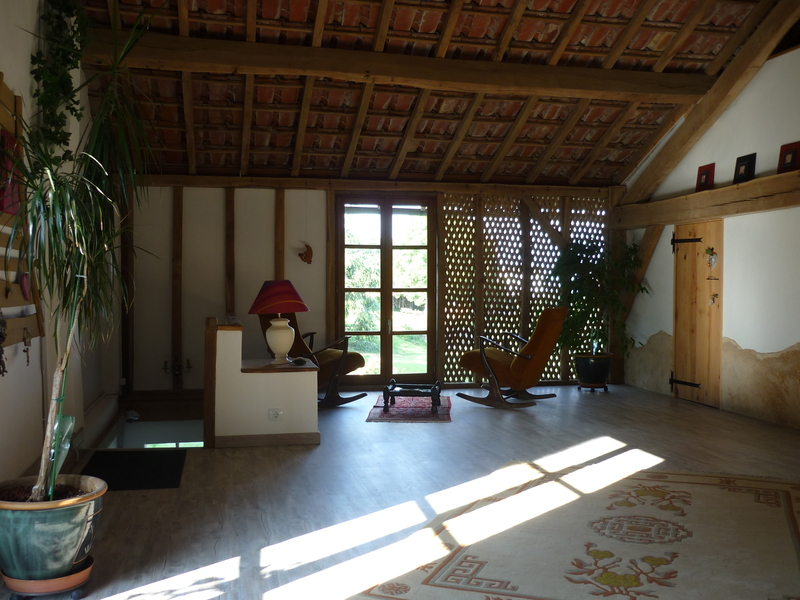 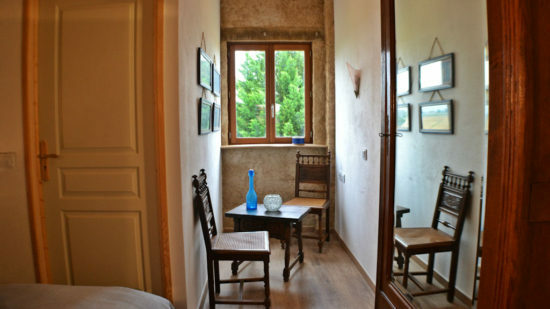 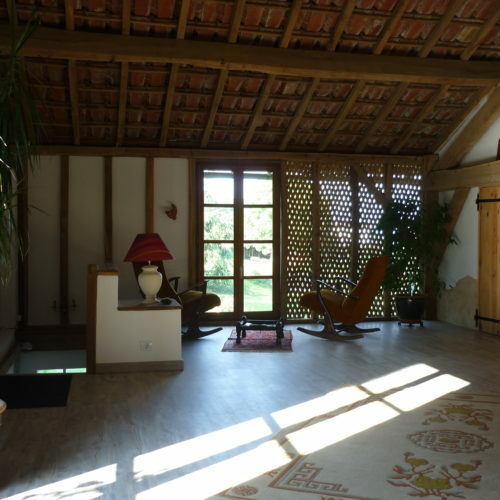 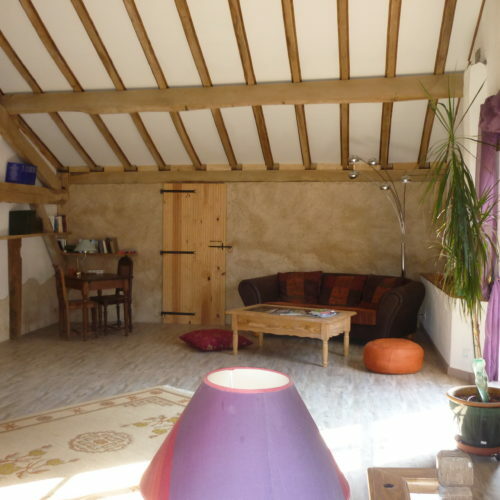 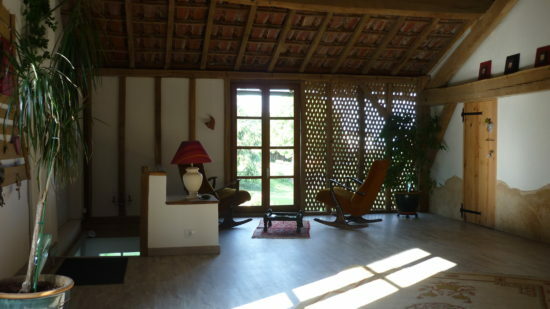 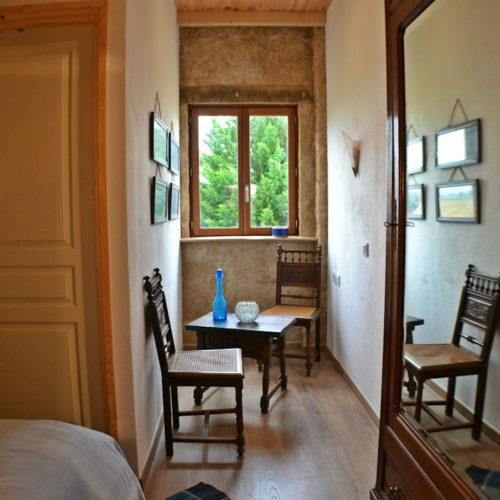 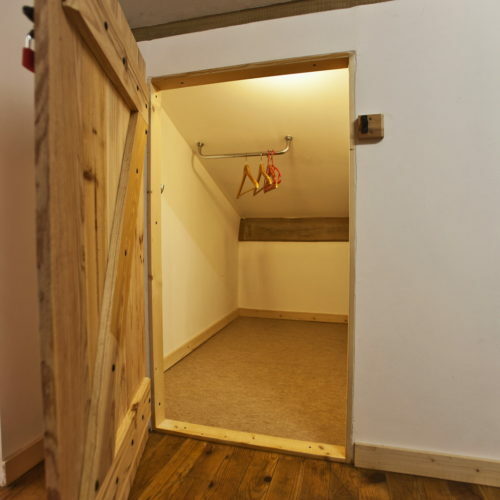 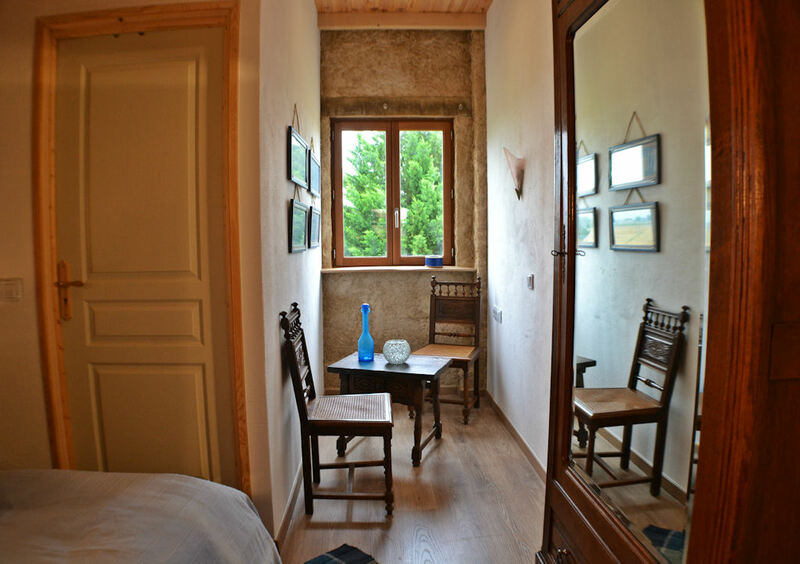 The Balance Room has a small sitting room from which you can enjoy the views of the Pyrenees and the rolling hills of the Gers. 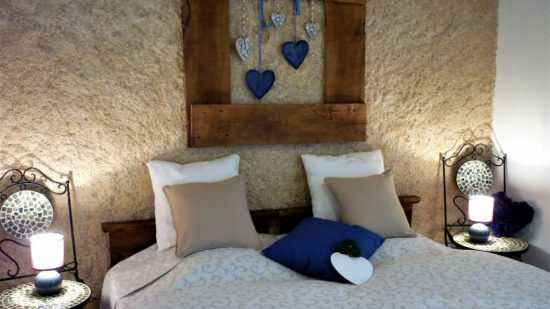 Room Rate: 69€ (c. £59.66*) for two people per night, breakfast included. 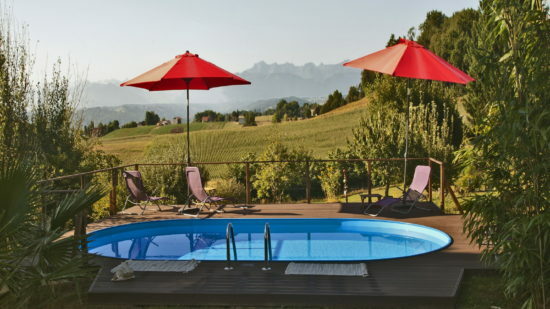 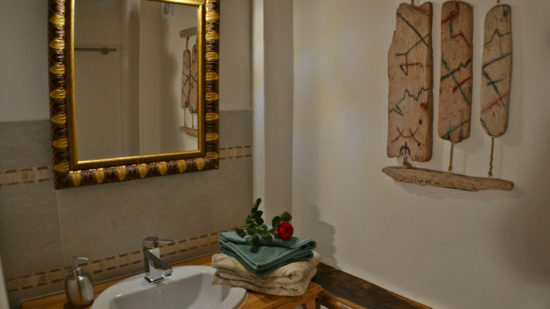 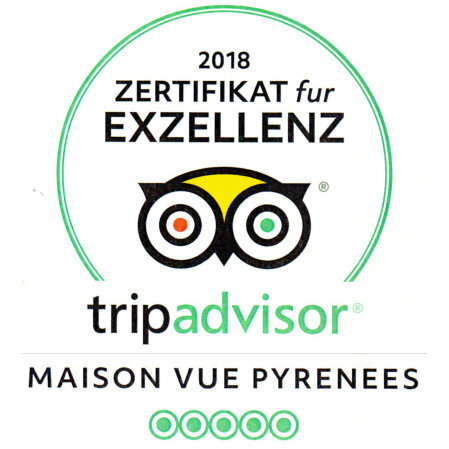 NOTE: if your stay is 3 nights or more, the ultimate Peace and Quiet Experience for you and your companions is to reserve the whole guest house, La Maison Vue Pyrénées, if available, at 180€ (c. £155.63*)/night. 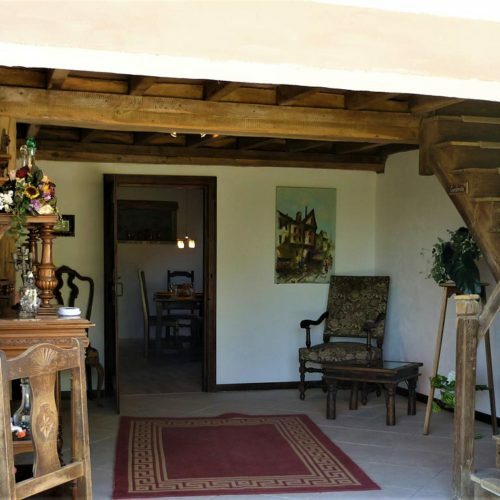 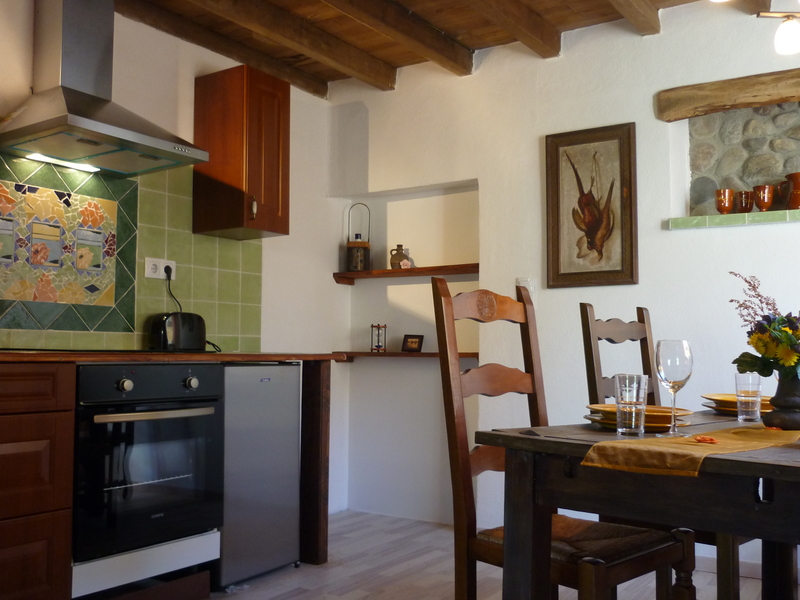 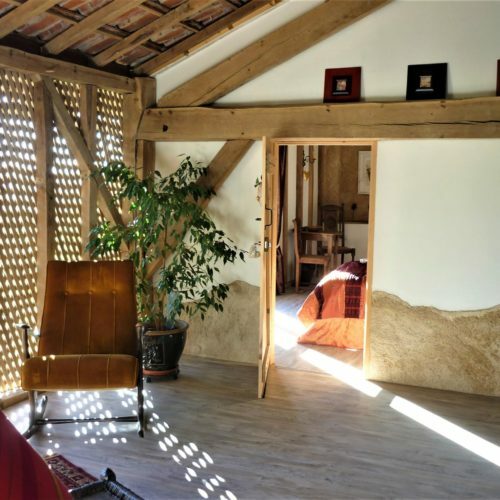 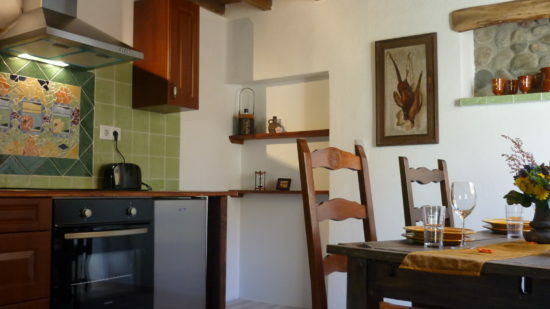 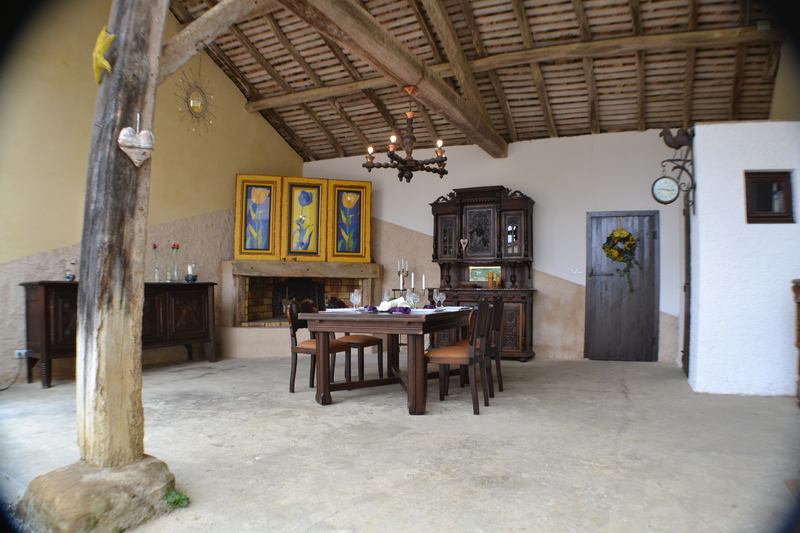 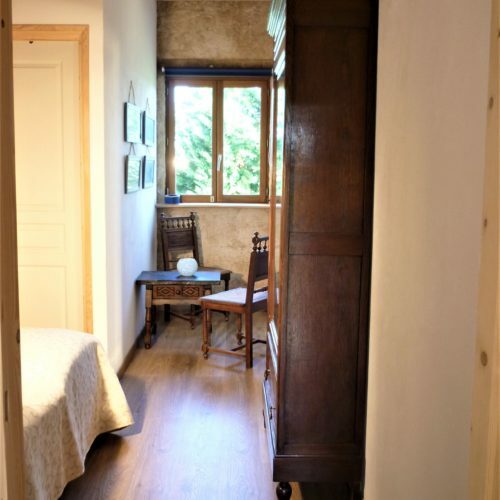 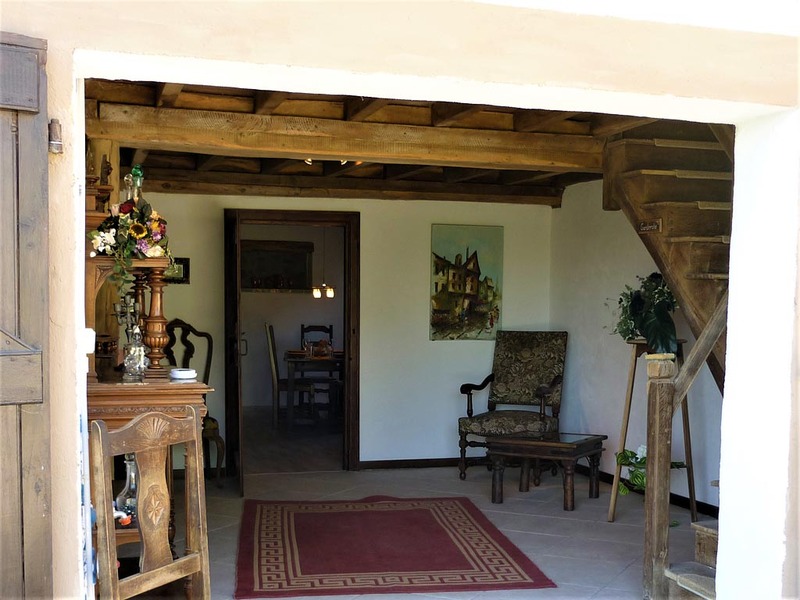 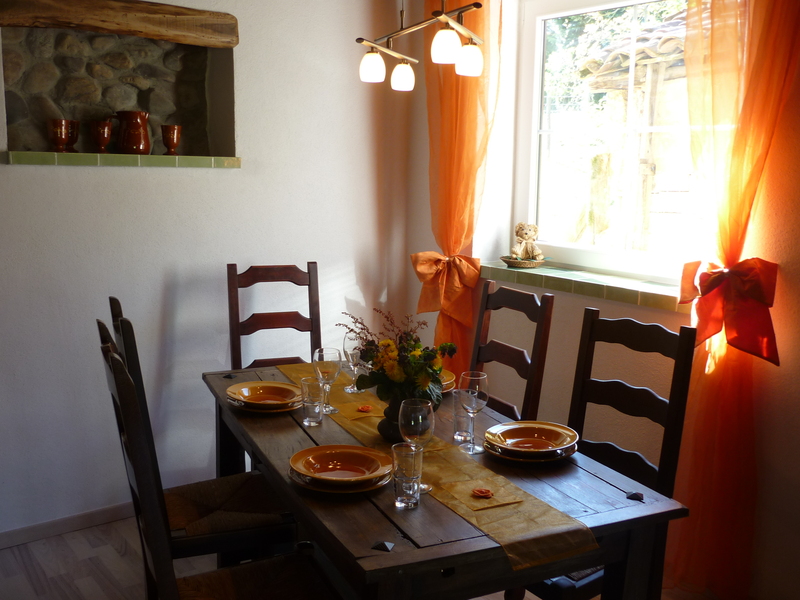 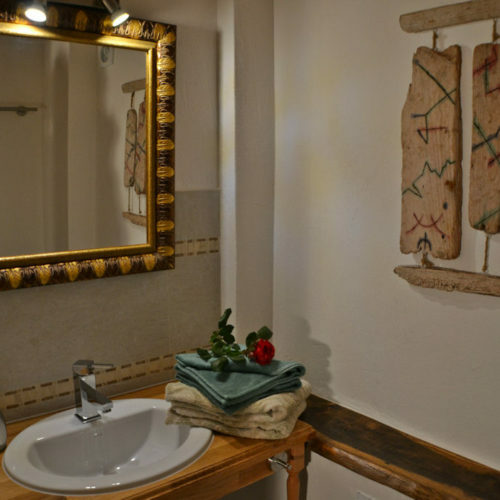 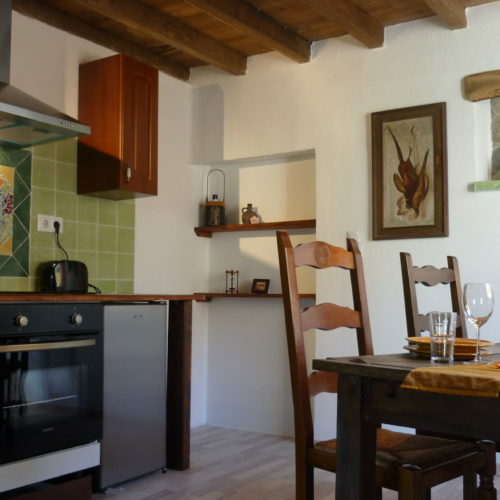 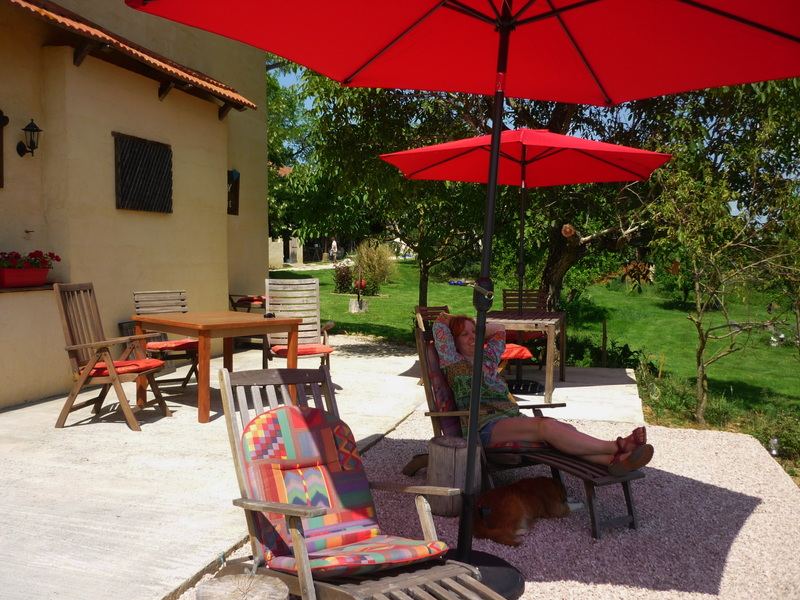 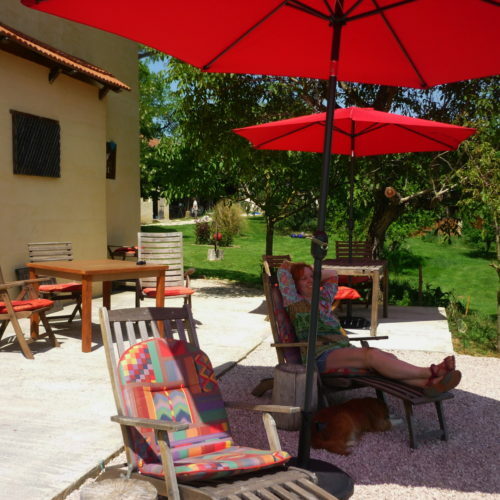 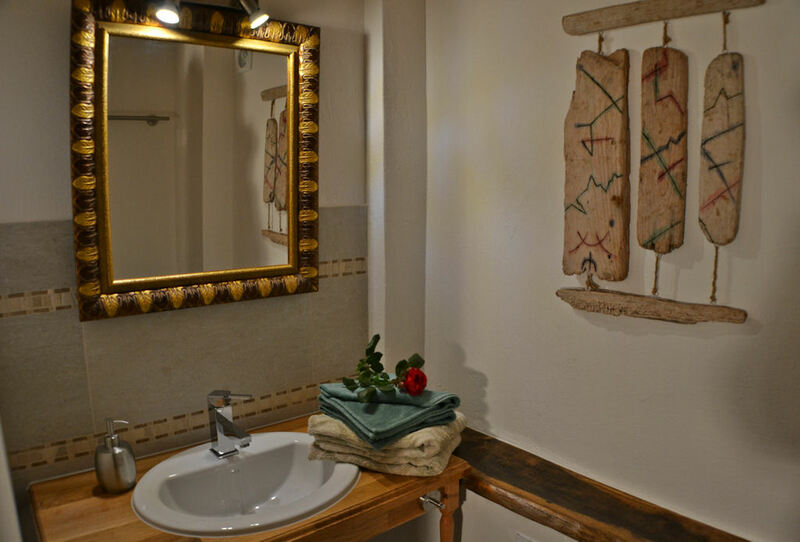 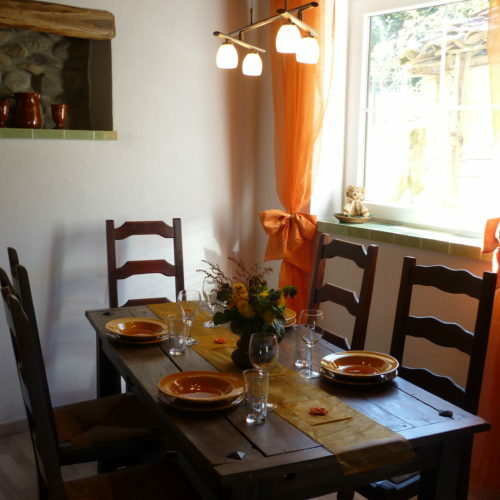 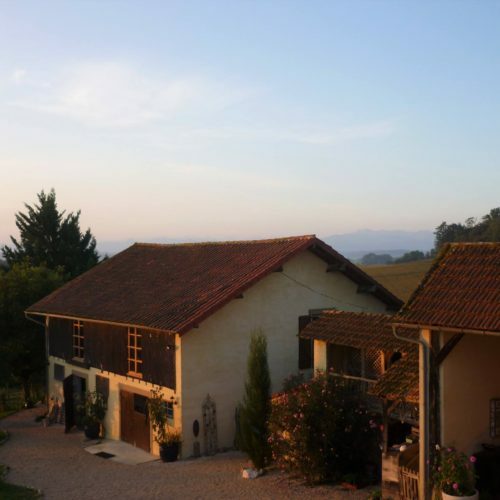 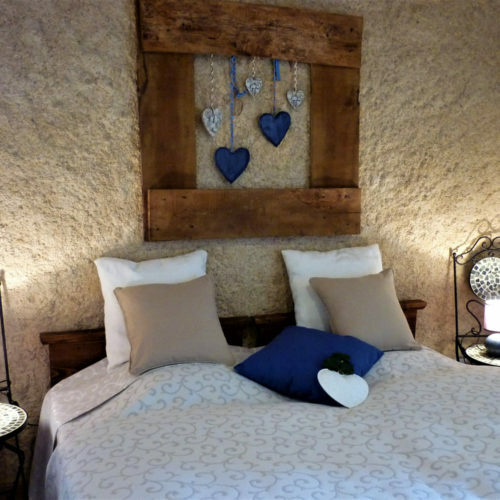 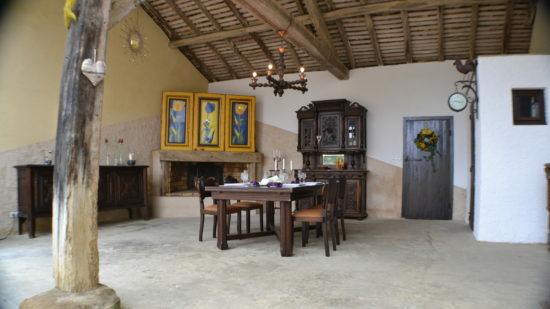 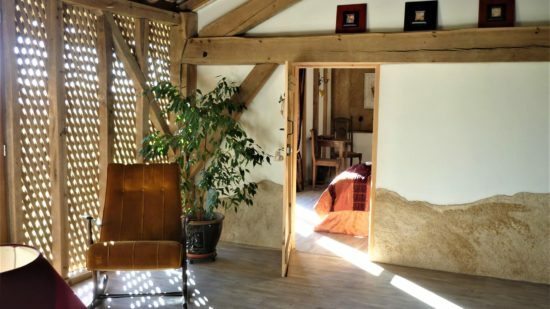 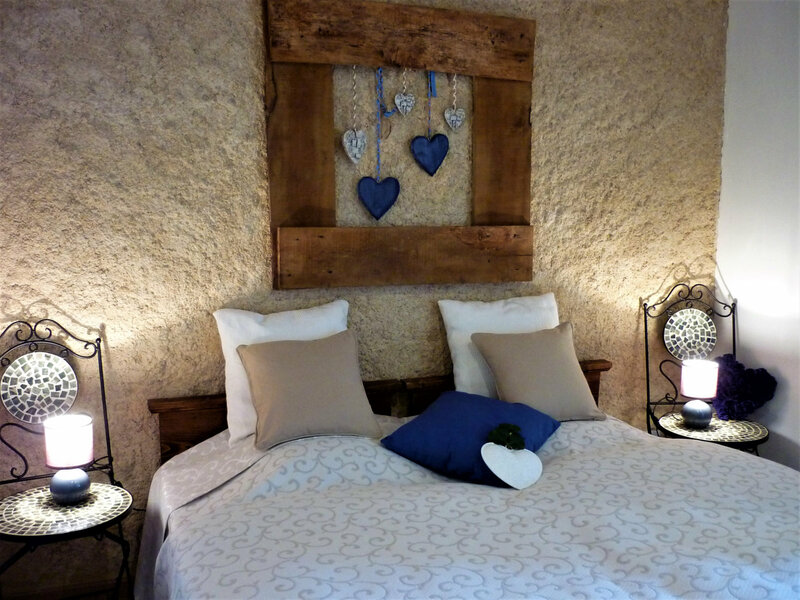 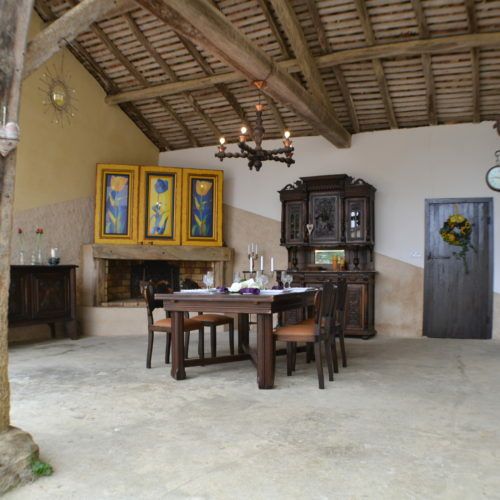 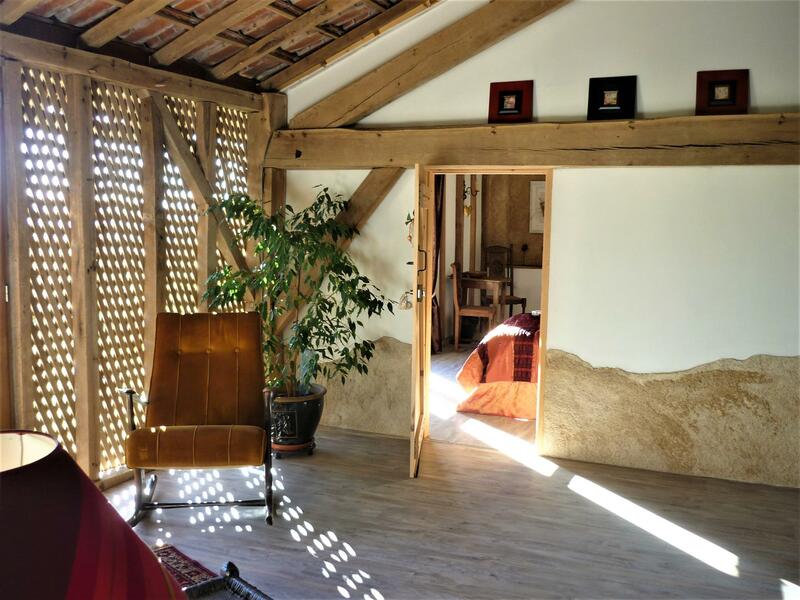 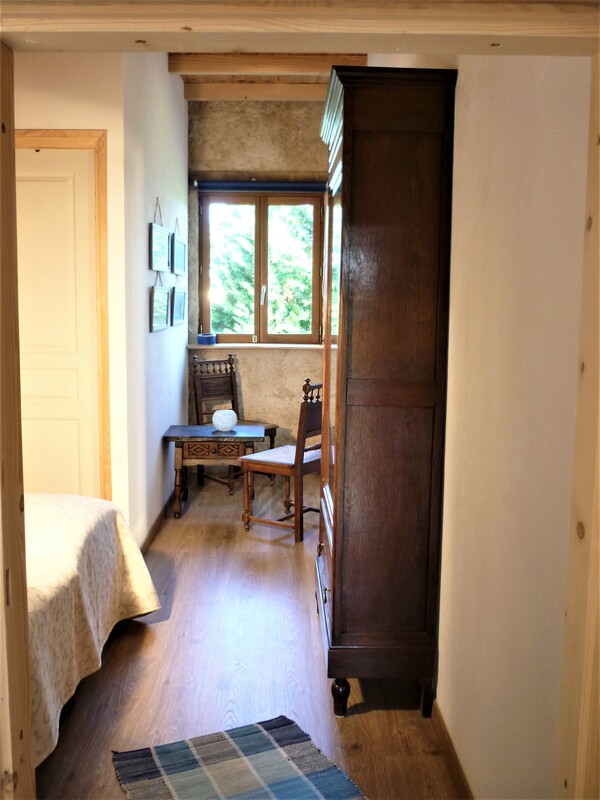 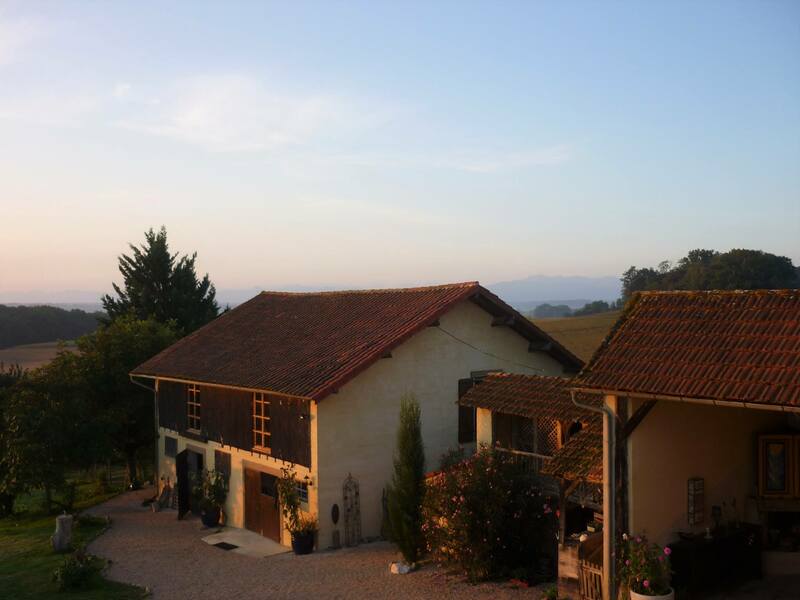 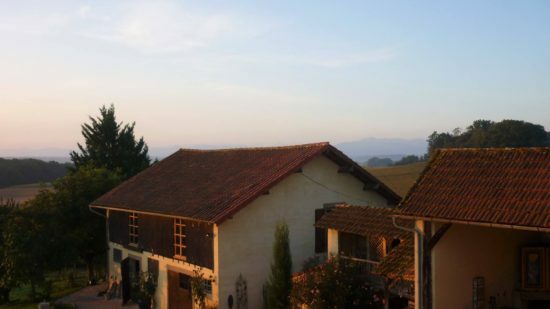 As a “Gîte” booking it does not include breakfast so be sure to select that option when reserving: La Maison Vue Pyrénées tariff and facilities. 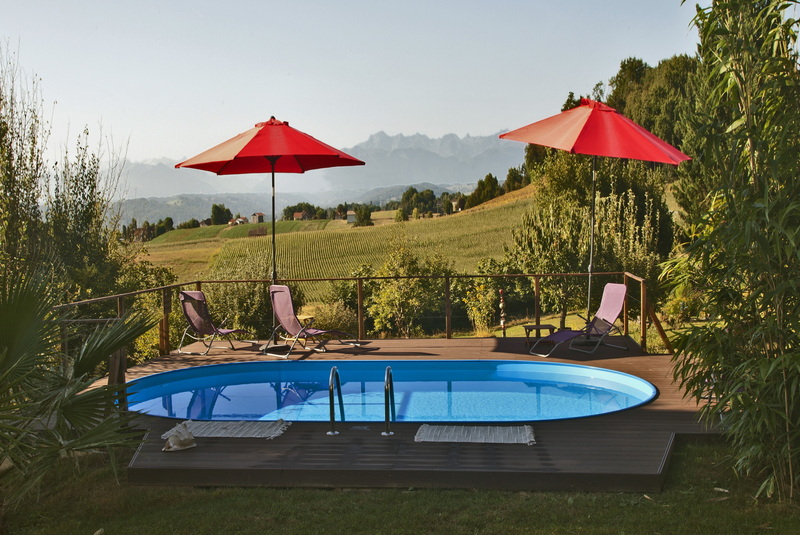 Smoking comfortably on the terrace or by the pool, please do not smoke in the house. 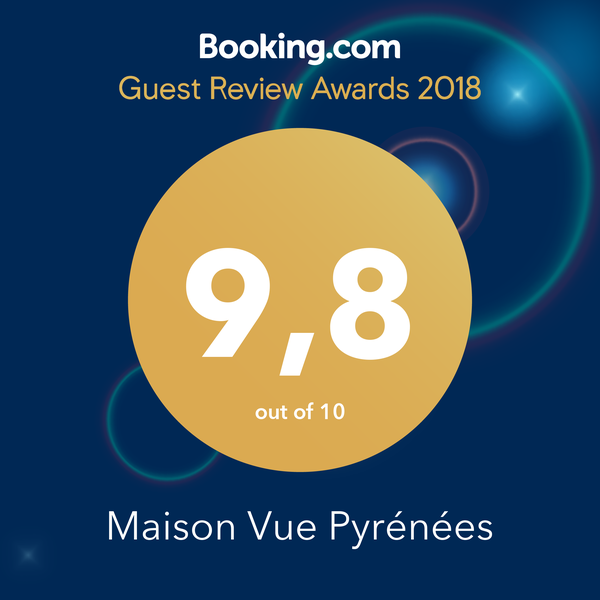 If you wish to leave your car and/or trailer at La Maison Vue Pyrénées whilst you spend a few days at the coast or in the mountains, we can offer you secured covered parking at just 10€ (c. £8.65*) per day. 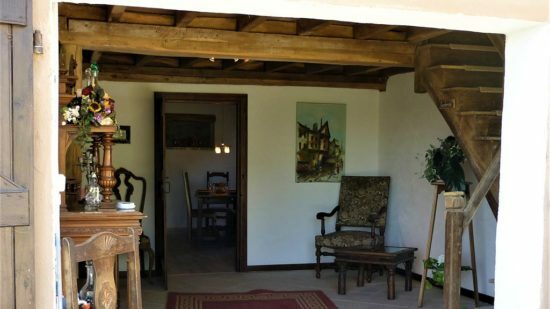 I have read and accept the Terms and Conditions for this booking. 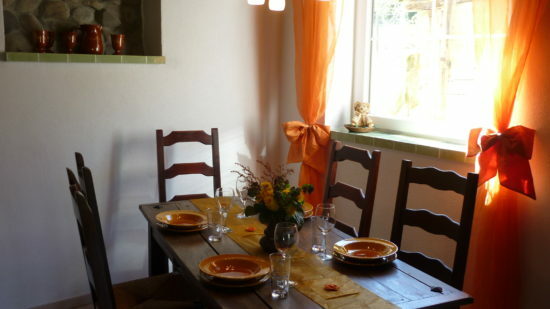 Click on Book Me Now to confirm your reservation. 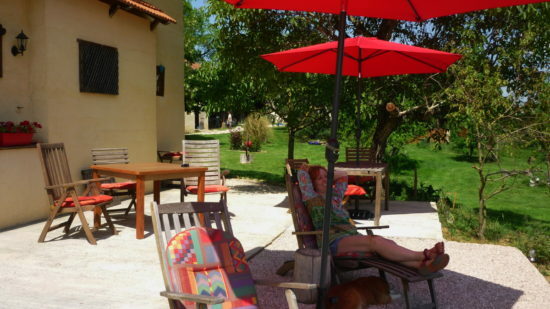 You will be redirected to PayPal to complete your payment.